Our category ‘Featured Flowerbulbs’ highlights all sorts of flowerbulbs of which we think deserve a little bit of extra attention. Whether it is a personal favourite, a flowerbulb that sells very well or becuase the colour is fashionable: everything is possible. 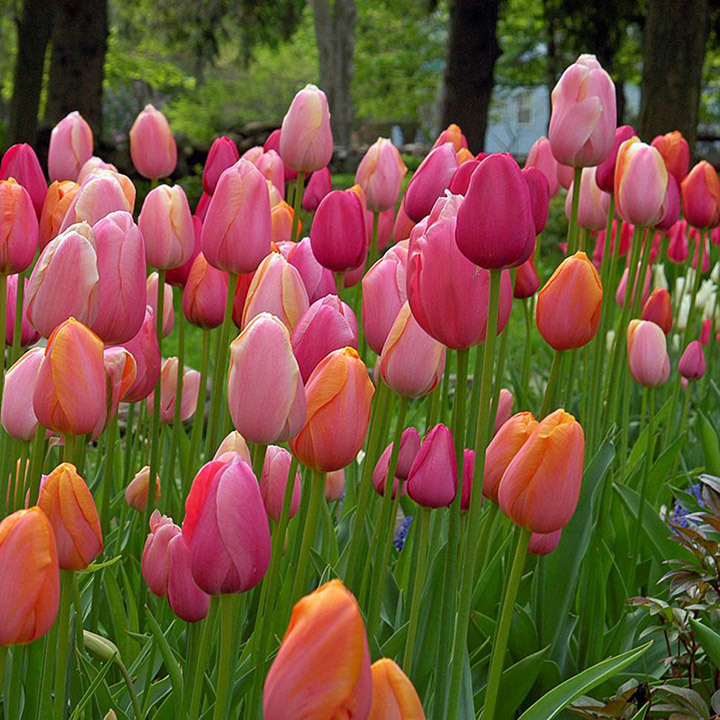 At the moment, the category consists of the tulip Blushing Girl , the tulip mixture French Blend Rose and the daffodils Queen Beatrix and Carlton . Our tulip Blushing Girl is, despite the similarity in the name, not to be confused with Blushing Lady. 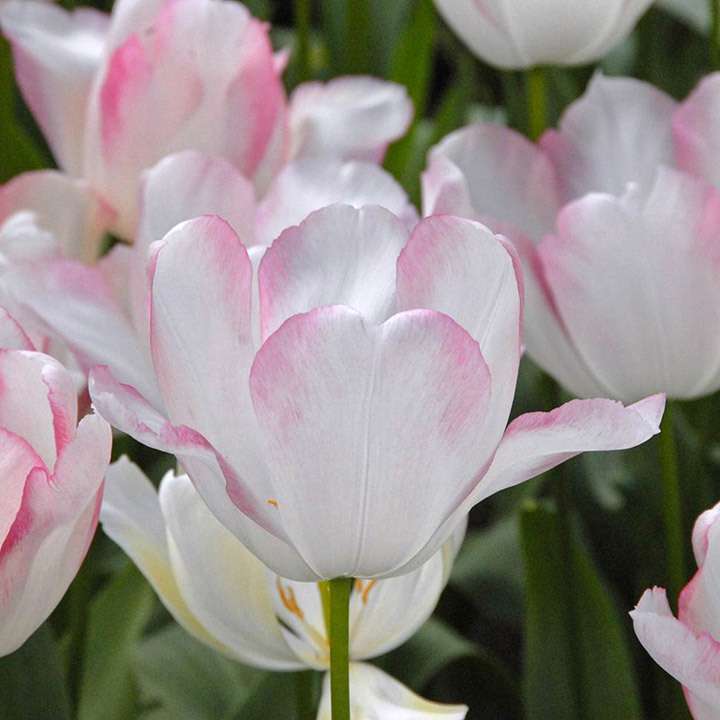 Blushing Girl originally comes from Latvia and is a tall, elegant tulip. She is white with pink-edged petals: the longer she is in bloom, the more the white spreads out. The pretty pink colour seems to be a very fashionable one this season, so Blushing Girl as well as French Blend Rose seem to be spot on for next spring. Two beautiful recommendations that completely live up to 2017’s gardening trends! Our two daffodils Carlton and Queen Beatrix must be what God intended when He created the daffodil, or maybe what Narcissus became when he fell into the river: it’s exactly what everyone envisions when they think about a daffodil. A big, strong yellow flower that looks good in every garden. They both have an RHS Award of Garden Merit. Queen Beatrix has a beautiful story: the daffodil was given to the Dutch Antoni van Leeuwenhoek-Hospital by a well-known bulb grower as a thank you gift for taking care of his wife so well. Our former queen Beatrix (she has by now passed her crown onto her son, king Willem-Alexander) is the patroness of the AvL-Hospital. The daffodil is very much worthy of her name. 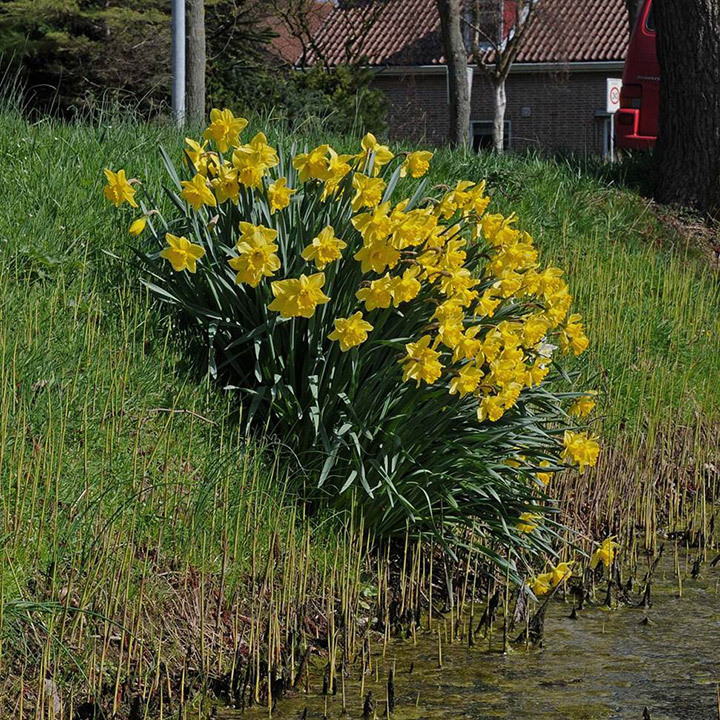 Carlton has been popular for almost half a century: over the last forty years, she has been the most grown and planted large yellow daffodil. 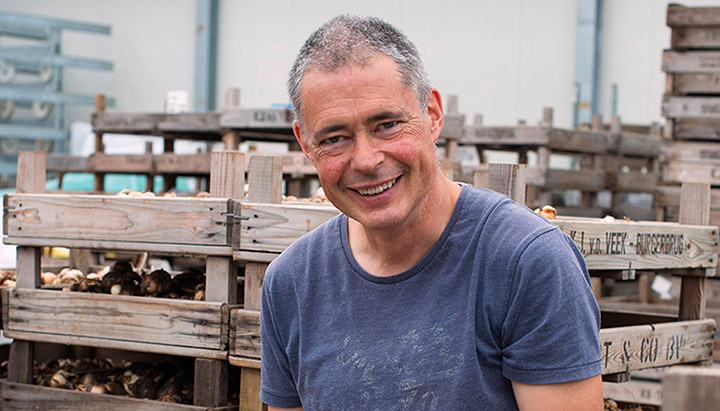 If you have ever seen those beautiful daffodils that grow in the wild during spring, then chances are they were Carltons. 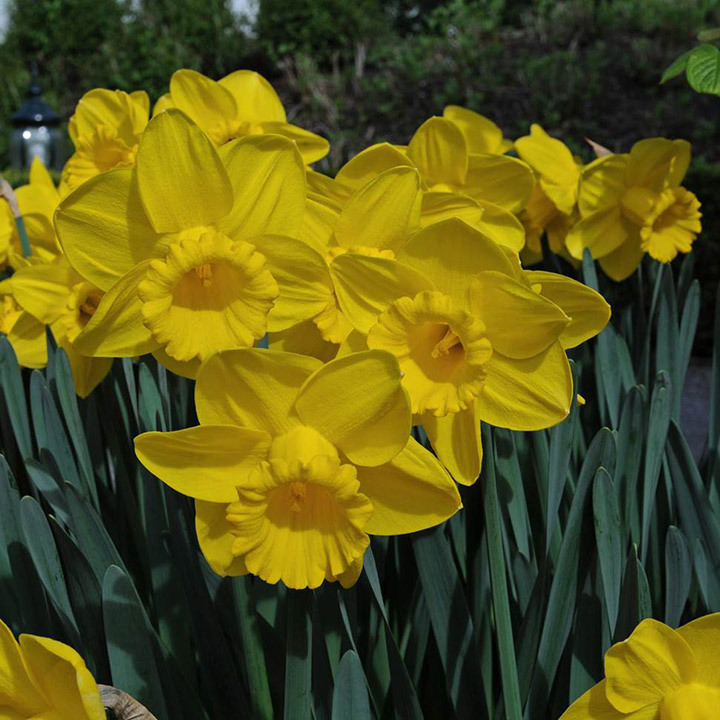 She is perfect for reverting, and while the bulb itself may sometimes be sensitive to rotting, this daffodil is a powerful grower once she’s been planted and has become established. We hope you have been able to get some new inspiration from our Featured Flowerbulbs, and we wish you a very happy time in the garden!